We owe it to the bees. I have a special place in my heart for bees. I don’t mind them buzzing around me, and I’ll talk to them for hours. They really hear me. They feel my pain. Fiance screams and runs away thinks I’m crazy. Mostly, though, I thank them for the honey. Honey’s kind of magical, you know. 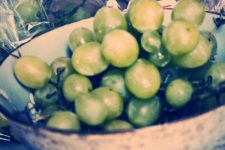 It has an unending supply of antioxidants and vitamins, and beautifully enough, it’s fat-, cholesterol- and sodium-free. It has ALL the properties needed to keep life … living, and it’s the only substance in the world that is so all-encompassing. It’s also the most magnificent food you can put on your face. I’m about to give you the one secret beauty companies don’t want you to know. (Okay, that was cheesy, but it’s ALMOST true). Put honey on your skin at least three times a week and you’ll have skin that flourishes (in a good way) without the need for expensive moisturizers. Really. That’s all you have to do. Wash your face. Slather honey on it. Wait 15 minutes (or as long as you want, really) and then rinse it off with warm water and a washcloth. You can add all kinds of other things to a honey mask, if you so desire: Pureed apples, mashed bananas, yogurt and wheat germ … the list goes on and on, but just straight-up pure honey on your face on a regular basis is an incredible, magical skin care routine. Lick your lips while it’s setting. You’ll be addicted. 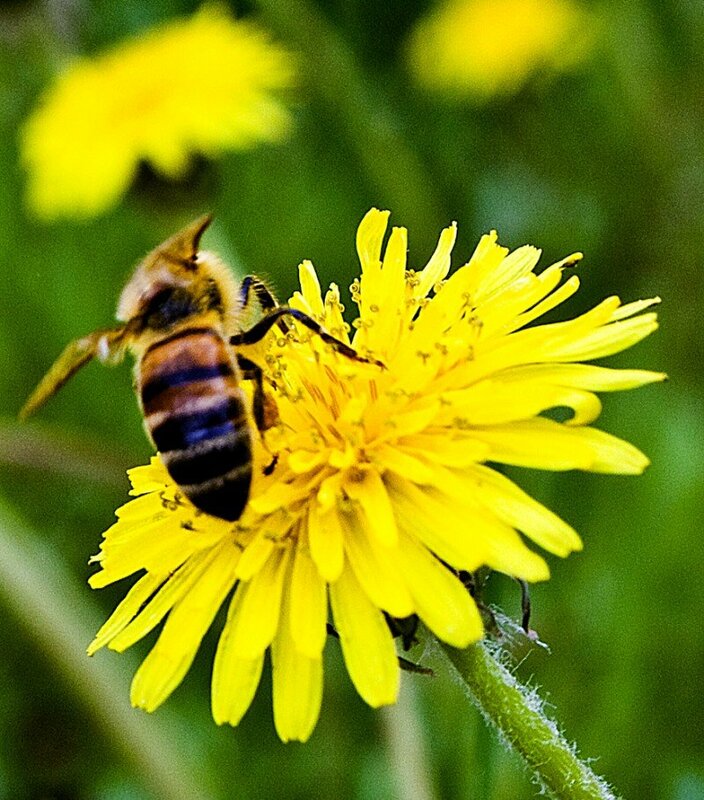 Brilliant article written by a true honey and honey bee lover just like me. It is really good to see articles written in a way that spreads the word about the benefits of honey and very true what you say about the beauty benefits of honey. Yes you can slather honey on with other goodies, all natural but perhaps the most understated “add in” is another bee product called Propolis. The honey bees use this to keep their homes clean and infection free. We can take it in capsule form as the most powerful natural anti-biotic substance there is or buy it as a jar of cream which will enhance honey’s powerful killer of spots and acne for a blemish free and beautiful complexion. Long live the honey bee. OK – I have honey and wheat germ (in fact also yogurt and avocado) and I am going to try this one!!! Yay! Fun at the White House! I want my very own beekeeper now. Maybe I’ll run for president. Isn’t it amazing they have bees at the White house! Their chefs use the honey from their hives to make all kinds of goodies in the kitchens. Over here in England we love the fact that Michelle and co are into such a lovely healthy lifestyle and hope they use their mega influence to help save the honey bees campaigns! This sounds intriguing. I’ll try it and report back. By the way, I love the appearance of your blog. I am all about natural. I use flax oil on my skin too. I should try this one. Thanks! Looks great. I don’t think I’ve ever tried flax on my face (only in my mouth). Will have to try that soon! I am a Crunchy in growth and love this! I have always loved mixing my own things to slap on my face but this is the best blog I have found yet. 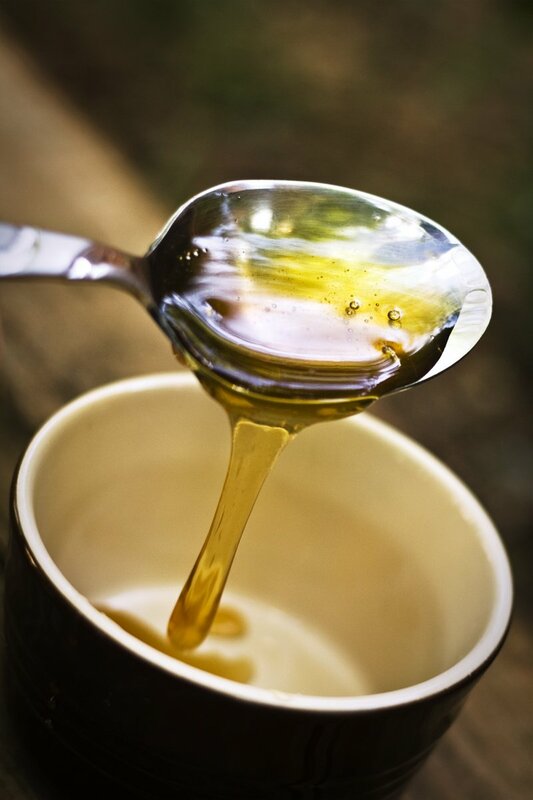 What honey brands do you recommend as the most natural and pure? Thanks! It’s also great for gel in curly hair. Especially kids hair. A little in a spray bottle with water in the tub and wa-la style as you like. No chemicals needed. I love a face mask of raw honey, 1 tsp of lemon juice and regular coffee! Leave on for at least 30 min and apply 2-3 times a week. The ‘crunch’ aspect of this article completely turns me off….wtf with the crunch?! Leather face? Otherwise I completely agree with this article! Why not ask and then wait for a reply in regards to the “crunch” aspect? Was it necessary to point out what you don’t like? Hardly. Try being a little more respectful. Crunchy is a term that refers to people who go “natural” as much as possible. Hi! Ok so I just tried the honey mask. First of all it smells amazing and taste amazing.I couldn’ resist! My skin feels a lot softer.Also I have really deep pores & awful blackheads I noticed they are already opening up so that is great!I am going to take the challenge and try it for a few days a week.I will keep you posted! I decided to try the honey on the face. I chose a cristalized. Perfect facial scrub. I just found your blog today (how, I don’t know, because I’m always reading sites like these) and I’m so in love with it! I’ve been on the verge of going more natural for something like 3 years, and although I’ve come a long way I’ve been afraid to commit to homemade things. But this seems easy enough to start out with, so here I go! First honey mask will be tonight, I’m excited 🙂 Thanks for your amazing blog! You’ve gained another regular haha. Sounds interesting – I may try this! Although just for the record, Cleopatra actually didn’t go down in the history books as a great beauty. Most sources don’t mention at all what she looked like – instead they talk about her being witty, charming, and intelligent. Wow, super cool. 🙂 I will try this. I’ve also heard that baking soda + honey is a good daily face wash. What do you think? A couple times a week I use a big pinch of baking soda, a gloop of honey and just enough water to make a thick paste as an exfoliate for my face. My skin loves it! 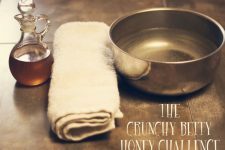 I’ve never tried just letting plain honey soak in for awhile but am sure going to give it a go. 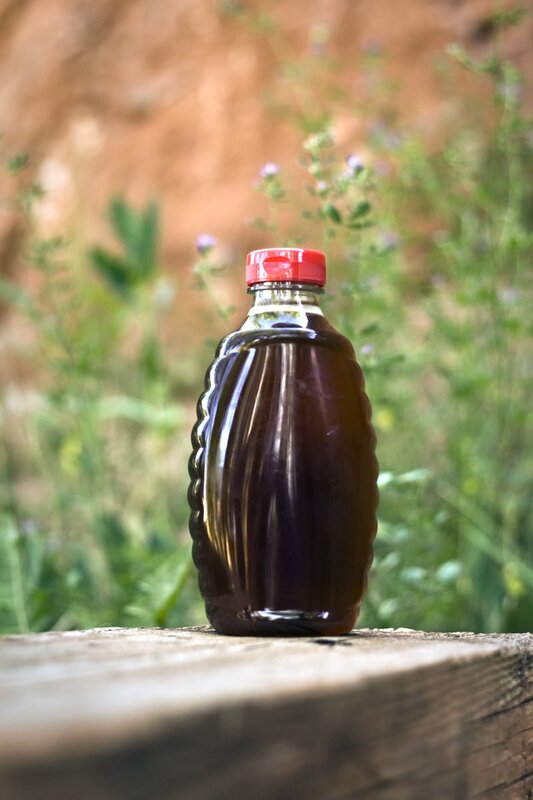 Should it be pasteurized or unpasteurized honey?